Roland J. Laurin, 86, of Chelmsford died Monday night, April 1, 2019 at the Northwood Rehabilitation and Health Care Center in Lowell surrounded by his family. He was married to the late Marion Laurin, who died on February 27, 2013. Born in Lowell, he was the son of the late Victor and Jeanette Laurin. He graduated from Lowell High School with the class of 1950 and earned a Bachelor’s of Science in accounting from Bentley College of Waltham. He proudly served with the U.S. Army during the Korean War. Roland worked as a financial analyst for the GCA Corporation of Burlington for 24 years and finalized his career at UMASS Lowell. He was a communicant of St. Mary Church in Chelmsford. 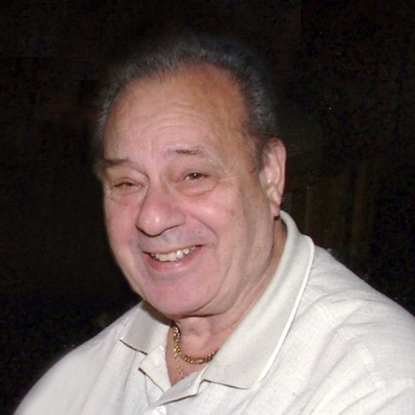 Roland was an avid New England sports fan, and enjoyed going to Foxwoods and Las Vegas. He is survived by his sons, David and his wife, Colleen Laurin of Nashua, NH, Daniel Laurin of Chelmsford and Douglas Laurin of Chelmsford and his daughter, Denise Dillon of Hudson, NH; and a brother, Norman Laurin and a sister, Doris Scollin both of Lowell. Roland had four grandchildren, Melissa Laurin, Jillian Laurin, Jeffrey Dillon and Erica Dillon and several nieces and nephews. Our deepest, most sincere condolences for the loss of your father/grandfather. From all the stories I’ve heard, he was a wonderful man and has given you have some beautiful memories. Hold tight to those in this time of sorrow. Our deepest sympathy to your family! You all have been through so much in such a short period of time. Life works in mysterious ways, sometimes it is hard to understand what each person might be going through in life but always remember to keep the faith and the love for each other<3 Love you! Deepest sympathy to the Laurin Family in the loss of your father and grandfather,rollie. and Bunny and Esther helping to pour the drinks and pass the food platters. Chees and crackers with some fine wine and whiskey, beers and lasagna.